How Far Back Does Canada Border Check for a DUI? Can Canada See US Criminal Records from a Long Time Ago? If you have a really old DUI conviction and are interested in traveling to Canada, you may be wondering how far back the Canadian border looks for criminal offenses. There is no limit to how long ago Canadian border officials can see USA criminal offenses, and we have worked with clients who were denied entry to Canada because of criminal convictions from as far back as the 1960s and 1970s. If the misdemeanor or felony conviction appears on your FBI Police report, it may be fully visible to Canada Border Services Agency officers when you attempt to enter Canada. Criminal history can also impede eligibility across various Canadian immigration programs, even if it happened decades ago. Can You Go to Canada with an Old DUI? If you only have one DUI or DWI on your criminal record, you may be deemed rehabilitated by the passage of time ten years after sufficient completion of all sentencing requirements including probation. If you have more than one impaired driving conviction, however, you may never be automatically deemed rehabilitated and could be denied entry at the Canadian border even 40 years later. If you have a felony conviction, this is also true; deemed rehabilitation only applies to foreign nationals with a single non-violent misdemeanor on their record. 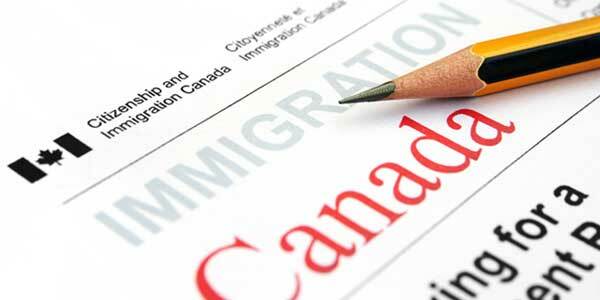 Americans that are criminally inadmissible to Canada can obtain permission to cross the border via a Temporary Resident Permit or Criminal Rehabilitation. Similar to impaired driving, crimes such as restricted drug possession, assault, theft, and fraud can also cause a visitor to get flagged at the Canadian border. Have a criminal history from a long time ago and want to visit Canada? Phone us today for a free consultation.